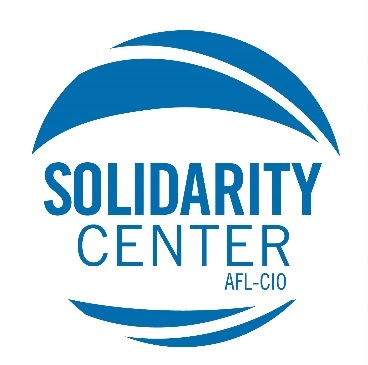 The Solidarity Center, founded in 1997 by the AFL-CIO to tackle the enormous challenges workers face in the global economy, now works with union and community group partners in more than 60 countries through a network of 26 field offices. This not-for-profit organization offers education, training, research, legal support, and organizing assistance to help build strong and effective trade unions and other workers’ organizations and more just and equitable societies. Its programs promote democratic rights and respect for workers, raise public awareness about abuses of the world’s most vulnerable workers, and, above all, help the world’s workers secure a voice in their societies and the global economy. The Center seeks a Country Program Director to lead the work of advancing the Center’s mission in Zimbabwe. The Country Program Director reports directly to the Center’s Regional Program director for Africa, and works in close partnership with AFL-CIO affiliates and labor federations, GUFs, unions and worker organizations in Zimbabwe. The Washington, D.C.-based Center has a staff of 225 and an annual budget of $30 million. The position requires residency in Harare and frequent travel within the region. With the Africa regional staff, develop and implement program priorities for work in Zimbabwe and trade union programs in the region, consistent with the strategic vision of the Solidarity Center’s global and regional work; revisit those priorities as needed to reflect changing national regional realities. Lead and oversee the department’s local staff in Zimbabwe, and manage local office operations. Serve as the representative of the US labor movement in Zimbabwe. Represent the interests and issues of the labor movement in Zimbabwe, their labor issues, and their global importance within the Center, the AFL-CIO, and the U.S. labor movement broadly as well as to U.S. government programs in the region, other NGOs, and the academic community. Build bridges to and coalitions and collaborative efforts with allies in Zimbabwe working to advance worker rights. Assure the high quality and effectiveness of the Center’s work in Zimbabwe through monitoring, evaluation, and reporting of program work. Experience in addressing gender issues in the world of work, and integrating gender equality and women's empowerment into the overall strategic goal of supporting labor rights in the region of assignment. The successful candidate will bring a sense of passion about the region and its politics, a strong social justice orientation, and a clear understanding of gender equity as a critical component of workers’ rights. He or she will have good judgment in U.S. and international political environments and the confidence, tenacity, energy, patience, and drive to work with others in this multilayered international organization to advance the cause of workers around the world. The duration of this position, as with all positions at the Solidarity Center, is contingent upon continued grant funding. The Solidarity Center is an Equal Opportunity Employer. Women and minority candidates are strongly encouraged to apply. Only finalist applicants will be contacted for an interview. Closing date of application: When filled.